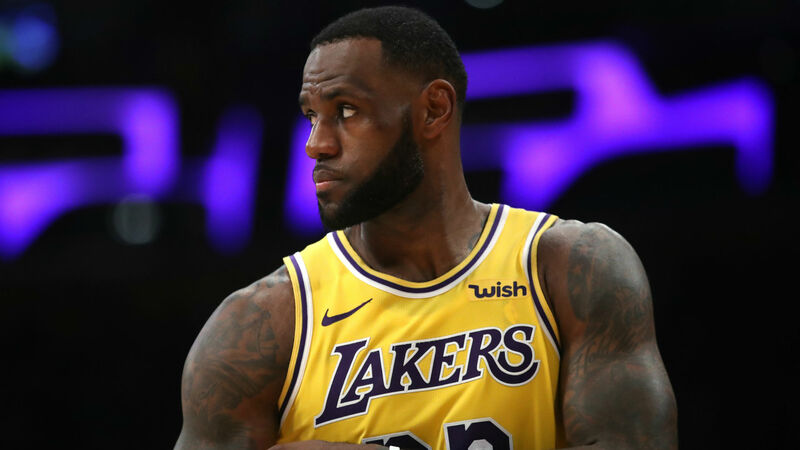 Lakers owner Jeanie Buss suspected LeBron James' agent, Rich Paul, of leaking sensitive team information about a potential trade for Anthony Davis and was so angry that "(t)he idea of terminating the franchise's relationship with Paul by moving James at least crossed Buss' mind," according to Bleacher Report, which cited an unidentified team source. At issue for Buss were reports that the Lakers were willing to trade anyone but James to the Pelicans for Davis, and many thought Paul was the source of the leaked information because he is Davis' agent, as well. Paul denied that he was the source and when Buss let Paul know that she was considering trading James, he called her to "clear the air," per Bleacher Report. The conversation must have gone well, because things reportedly are better between Paul and Buss. Good thing, Bleacher Report noted, because an unidentified Western Conference GM said he'd be interested in James to help contend with the champion Warriors but wouldn't swap his best player for James because, at 34, he needs a stronger supporting cast. "He's not good enough anymore to take four cadavers and get to the Finals," the GM said. "Not in the West." James signed a four-year, $153.3 million contract last summer that includes a no-trade clause, a deal many saw as the first step in building around him with acquisitions like the potential one for Davis. Buss later blamed the blowup of the Davis negotiations on the media. The Lakers have failed to meet expectations and are sitting outside the playoff picture this season.